Lab-grown diamonds have been making headlines lately. If you keep a bit of an eye on the celebrity, fashion and jewellery sectors, you might’ve noticed the words ‘lab-grown’ and ‘lab-created’ popping up in relation to diamonds and fashion jewellery. In the news this year, Leonardo DiCaprio was reported as having a high-profile interest in a diamond manufacturing group called Diamond Foundry. Victoria’s Secret’s models Martha Hunt and Bambi Northwood-Blyth both showcased lab-grown diamond jewellery for Lark & Berry at the 2018 Cannes Film Festival. And De Beers launched a lab-grown jewellery brand called ‘Lightbox’. 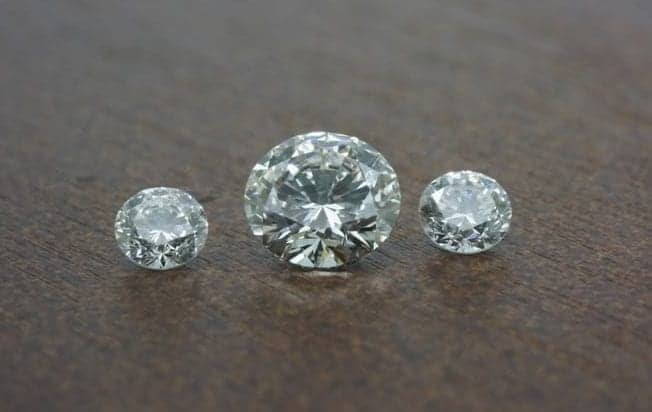 And, most importantly for the industry, in June the USA’s Federal Trade Commission (FTC) released new guidelines as to how diamonds can be described. Whether they come out of the ground or out of a laboratory. If you’re going to be in the market for a meaningful piece of jewellery in the near future, you need to know what’s going on. First though, what are Lab-grown diamonds? The name pretty much says it all. They are, in fact, diamonds. Essentially they’re optically, physically and chemically identical to their natural counterparts. The only difference is they’re grown in a laboratory environment. In their latest ruling, the FTC confirms lab-grown diamonds are indeed diamonds. It’s just they can’t be described as such without an appropriate qualifier like ‘man-made’, ‘laboratory-grown’, ‘cultured’ or similar. By the way, lab-grown diamonds are not a new product. They’ve been on the market since the 1990s. Early development started in the 1940s and they now represent about 3% of global diamond production. (Source: https://betterdiamondinitiative.org/lab-grown-diamond-annual-production-soars-4-2-million-carats/ ). Until recently, lab-grown diamonds were sold for around two-thirds the price of regular* mined diamonds. But since De Beers announced they were going into the lab-grown diamond market earlier this year, prices of lab-grown diamonds have dropped to a small degree. The fuss we’re seeing right now is because De Beers are selling their lab-grown white diamonds for around $USD800/carat. Very roughly, that’s in the region of one-tenth the price of an equivalent diamond taken out of the ground. Coupled with increasing production efficiencies, you should expect more downward adjustment in the price of Lab-grown diamonds. It will certainly be very interesting to see how the major producers of lab-created diamonds respond to the De Beers move. Perhaps all the ruckus is about Millennials? This is speculation but, here’s the thing, lab-grown diamonds have a hugely smaller carbon footprint than mined diamonds. And carbon cost is certainly a consideration for Millennials. How huge? Whilst we’re somewhat skeptical about the figures, the International Grown Diamond Association (IGDA) claims that mined diamonds carry a carbon footprint of around 57,000g per carat. Whereas lab-grown diamonds generate only 0.028g of carbon per carat. That’s a claimed 1.5 BILLION times less. Furthermore, the mined diamond industry as a whole has so far failed to deliver a transparent supply chain such that consumers cannot, in most instances, know whether the diamonds they’re buying are ethically sourced. Again, this is something of increasing importance to Millennials. If you are looking for a lab diamond engagement ring, Lightbox is not the place to find one. De Beers (at this point in time) have indicated they won’t be entering the ‘significant jewellery’ market with their lab-grown product. 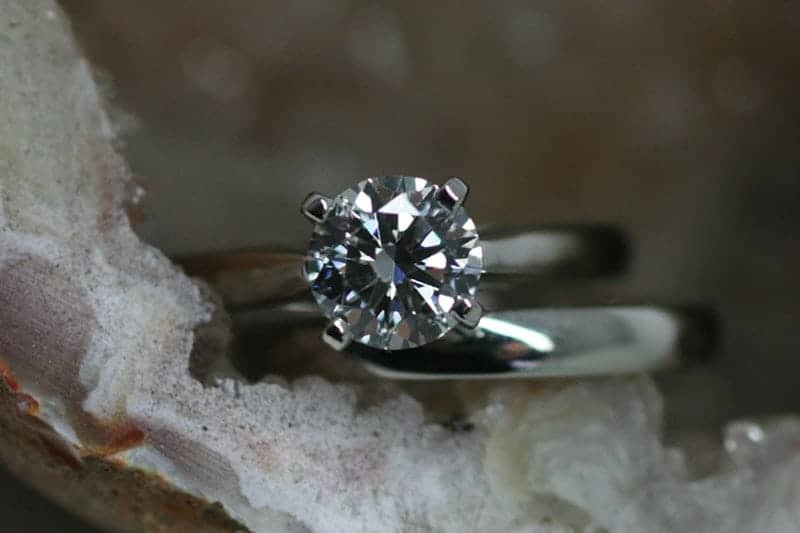 From our experience, whether lab-grown or natural, handmade engagement ring customers prefer certified diamonds. Lightbox doesn’t offer that. In De Beers’ own words, Lightbox is ‘fun’, ‘frivolous’ jewellery set with ungraded lab diamonds. It’s for those who want to treat themselves without breaking the bank. The upshot is, if you’re hoping to be able to buy a ‘new’ certified, one carat lab-grown diamond for USD$800, that isn’t going to happen. Since the Lightbox strategy was announced, the impact on the wholesale price of graded lab grown diamonds hasn’t been significant. At best the price drop has been around 10% since March. Whether that will change in the long-term it is impossible to predict at this stage. From our information, manufacturers are looking to see whether De Beers can sustain their pricing. The feeling is that they are selling below cost. And, if you were hoping to see the price of natural diamonds come down due to competition from lab-created product, don’t hold your breath. On the upside however, if you quite like the idea of lab-grown diamonds, given they are essentially identical to mined diamonds, but with a lower price tag – then happy days ahead. 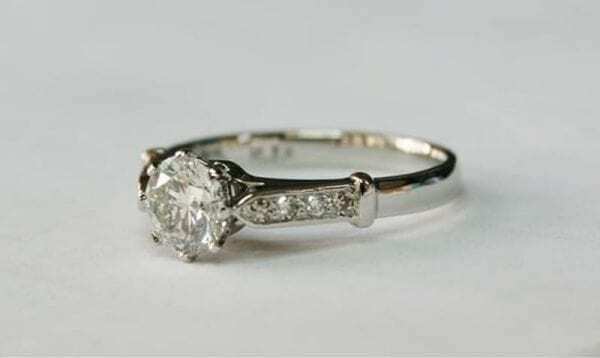 Vintage style 8-claw engagement ring in recycled platinum featuring a lab-grown diamond as the center stone. Recycled diamonds are channel set in the shoulders of the band. We have no argument with lab-created diamonds as an alternative to mined diamonds. If that’s what you want, we are happy to get them for you. The reality is you need to have gemmological training and access to specialised equipment to be able to distinguish lab-created from mined. And importantly, their ethical credentials are much more readily available than the majority of untraceable mined diamonds on the market. That said, we would love more transparency in terms of their carbon cost. Likewise we most certainly would want to know where the stones are cut (to eliminate child and exploited labour as a concern). On the whole though, we see them as an ethically and environmentally sound product. Especially when you compare them with most newly mined diamonds on the market. Given we’re almost exclusively in the engagement and wedding jewellery space, resale value doesn’t come up very often. Let’s face it, if you’re worried about the resale or investment value when buying a diamond engagement ring, you might want to rethink the idea of getting married in the first place! The harsh reality is, buying a diamond engagement ring is a bit like driving a new car out of the dealership. As soon as you leave the driveway you say goodbye to maybe half of its retail value. In reality, unless you have a very special diamond or gemstone, the resale value of an engagement ring, mined diamond or otherwise, is always much lower than its purchase price. Engagement rings in ‘real life’ are investments in relationships. Lab-grown diamonds will probably have a commensurately small resale value. However it’s impossible to say one way or another at this point in time. Who knows, perhaps in the future their eco-credentials and traceability will boost their resale value relative to equivalent mined diamonds? Would we put lab-grown diamonds in a customer’s jewellery? Short answer, yes – if that’s what our customer wants. Lab-grown diamonds do not run contrary to our ethical principles, provided all aspects of their production check out. If you want all of the physical characteristics of a mined diamond, without the relatively hefty price tag. And you’re not concerned about resale value, then perhaps lab-grown diamonds are right for you? As for our own preferences for diamond sourcing. Historically we’ve favoured ethically-sourced diamonds (usually from the Argyle mine in WA), vintage (recycled) diamonds or Moissanite as a diamond alternative. But lab-grown diamonds have certainly gotten our attention. *A ‘regular’ diamond refers to a standard Kimberly Process untraceable diamond, average colour and clarity (perhaps G Si). Not an Argyle, Canadian or a fine white diamond. These attract a higher per carat price. Benn is a Co-founder of Ethical Jewellery Australia and a keen student of ethical and sustainability issues in the jewellery world. He has a long history in sales and marketing and began working with EJA full time in early 2018. Benn co-authored the original Engagement Ring Design Guide in 2014 and edited the 2nd Edition in 2018. He is also the principle author of the upcoming wedding and commitment ring design guide. His main responsibilities at EJA are business development and sales process management. Benn also creates technical drawings for our ring designs.